Cold and cough are common illness, but attention is required. In this article, I provide some causes for cold, tips to prevent cold and of course, some home remedies to cold and cough. The remedy that I provide is common for kids and adults. Cold is a common suffering for everyone. Kids suffering with cold is a major problem to parents because, it affects their food intake, sleep and daily routine. If the kid is less than a year, then the baby needs more attention. We say that kids suffer with cold, when they suffer with symptoms like sneezing, coughing, nose block or running nose. These symptoms may occur due to other causes too. It is important to identify the cause of the cold. It is not always the cold season that brings cough and cold. Sometimes, the body heat also reflects with these symptoms. If it is due to body heat, it could be identified with their excretion. If the urine color is yellow all the time and urinating less than 5 times a day, then the cold is due to body heat. Give coconut oil/sesame oil massage from head to toe and give head bath after 15 minutes. Dry hair immediately after bath and give hot soup. It can either be vegetable soup or chicken soup, but make sure it includes ginger. If your kid is less than a year, give oil massage and give head bath consequently. Keep giving 1 or at least 1/2 cup of warm water every 1 hour. Children get cold and cough because of dust too. Kids less than 2 years generally take all the things to their mouth. Make sure, you avoid giving mobile phones, key chains, TV remote and untidy toys. These may not look dangerous, but these items are really carry many germs with it. It is tough to keep the home clean, when kids are there, but for healthy life, it is essential to have cleanliness at home. Change the bedspread and pillow cover every week. Wash toys once in every month. If your kid has the habit of biting and chewing, then avoid giving stuffed toys. Change kids' clothes after their meal or whenever you find it untidy. It is not necessary, to restrict them from playing outside, but after their play time, give them a bath. Cut nails once in a week. Above all, develop an immune system by giving iron rich foods like dates, greens, fig and grains in daily diet. Cleanliness and good immune system will keep children safe from frequent attack of cold. Prevention is better than cure right. I see a change in parents these days that, they look for home remedies first than going for antibiotics. This is a good sign. Actually, it is recommended, not to suppress the phlegm with antibiotics. Because that is the way, our body throws out the foreign particles, that are bad to our health. Here I provide few home remedies, which are my granny's therapy. She provides to everyone in the family. These cures the cold by developing our immune system. 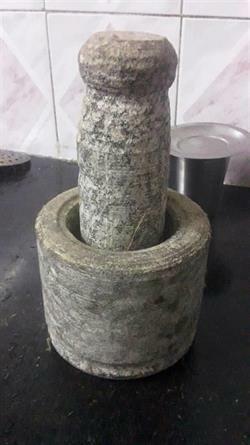 In Tamil, it is commonly known as Nilavembu. It is available in herbal stores. Boil 1/2 spoon of this powder in 200 ml of water. Let it boil, till the water get reduced to 100ml. Then cool it, filter it and give 3 spoons, thrice a day for 3 years old. It will give best results, if given in empty stomach. The quantity served can be increased or decreased according to kid's age. Adults can take half a tumbler and not more than that. This syrup is the most bitter syrup I ever had, so I prefer everyone to take it in a gulp. In 200ml of water, add 2 betel leaves, pepper and cumin seeds and let it boil till the water get reduced to 100ml. Give the filtered syrup, when it becomes warm. 3 spoons thrice a day. Quantity can differ with respect to the kid's age. You can add basil leaves, if available. In India, it is commonly known as karpooravalli or omavalli. If your kid could chew, then wash and give this leaf directly to chew in early morning in empty stomach. If your kid couldn't chew, then squeeze it in hand with rock salt and give the extract. You can even grind it in a blender and give the extract but, not more than 2 table spoon. Traditional garlic masher will be helpful to mash this leaves with rock salt. Do not store it more than a day. Elders can take 3 leaves with rock salt. Adding basil leaves is optional, but adding this could give better results. It is Alpinia galangal in English, this plant is from ginger family. This powder is available online and in other herbal medical stores. If you feel, that you are not shown any symptoms of cold like cough, running nose or sneezing, but getting head ache, and pain in and around ears, then it is something serious. It is also due to cold flu but, it does not find a channel to come out of your body. For such cases, you can take this sitharathai ¼ spoon everyday with honey. Mix the powder with honey and take it every night, before you go to bed. Else, consume only when you suffer with cold. Pepper(1 or 2), cumin seeds(5), soft neem leaves (2), garlic (1), turmeric (less than a pinch). Grind them in a traditional garlic masher, tie them in a white cotton cloth, take a small cup of breast milk or warm water and dip this tied cloth for 5 minutes. then take away the tied cloth and give the milk/water to the baby. It can be given weekly once. Children commonly complain to their parents, siblings or friends about some things that are common. Parents should take an active role in understanding the problems of the kids. The children also at the same time cope up with the problems. Every child may create some problem or the other which may be big or small. But the parents should deal with the problem very carefully. There are different ways to deal with the different problems.